Felix Core provides the foundational services necessary to deliver fully capable IoT solutions. From innovative alerting and notification capabilities to location based functionality and more, leveraging Core services allows focus to be on delivering the IoT business solution. Every IoT Solution requires a set of fundamental capabilities in order to drive real value to the enterprise. 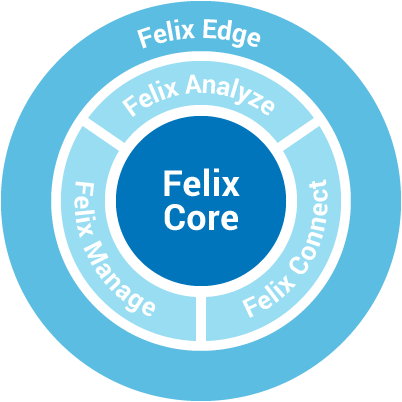 Felix Core provides the most comprehensive set of services available in any IoT platform. The Felix Core alert and notification services are the most flexible and innovative in the market. From shift work support to location-based delivery Felix Core delivers exactly what an IoT Solution needs from a monitoring perspective. 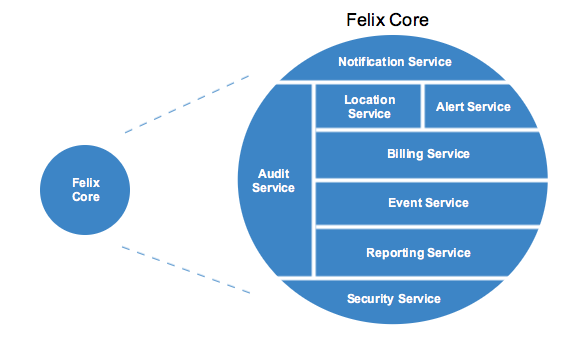 All of the Felix Core services are open with easy to integrate and use APIs. This means an IoT Solution built on Felix will be able to integrate into existing business solutions and workflows easily, reducing overall implementation costs and shorting or even eliminating the new technology learning curve for staff.